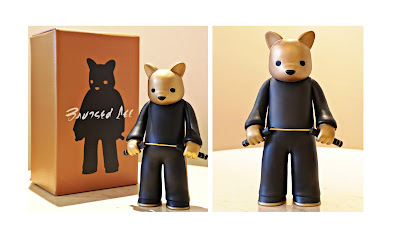 The fourth colorway of Luke Chueh’s killer Bruised Lee vinyl figure is now available exclusively at the VTSS online store! Check out the Gold Edition Bruised Lee, which features a striking metallic gold and black color scheme. This awesome figure is based on a painting of the same name that Luke created for a Bruce Lee group art show. It’s a killer mash-up of Chueh’s sad depressed bear with Bruce Lee's classic yellow jumpsuit from movie The Game of Death. 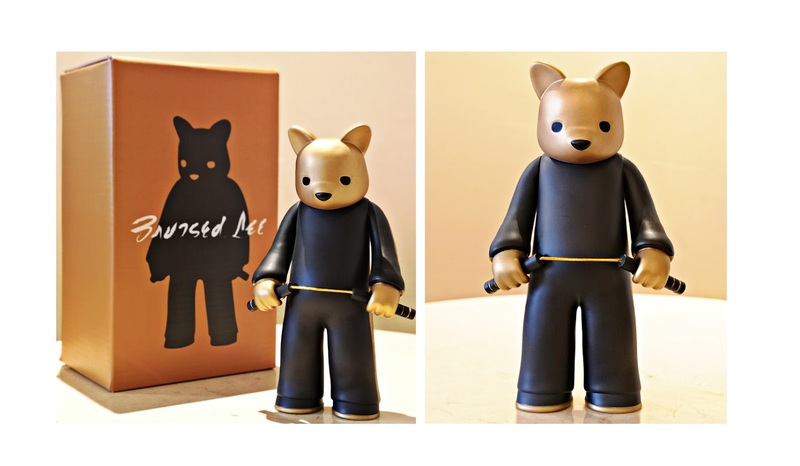 The Bruised Lee Gold Edition vinyl figure by Luke Chueh stands 6.3” tall, features 3 points of articulation (head and arms) and includes a pair of nunhcuck. This colorway is limited to just 100 pieces and can be purchased now at the VTSS online store for $120 (with free worldwide shipping).